On November 3, 2018, Jazmin Lopez and Robert Pacheco hit the trails in Moab, Utah for their first trail marathon. Why embark on the challenge? 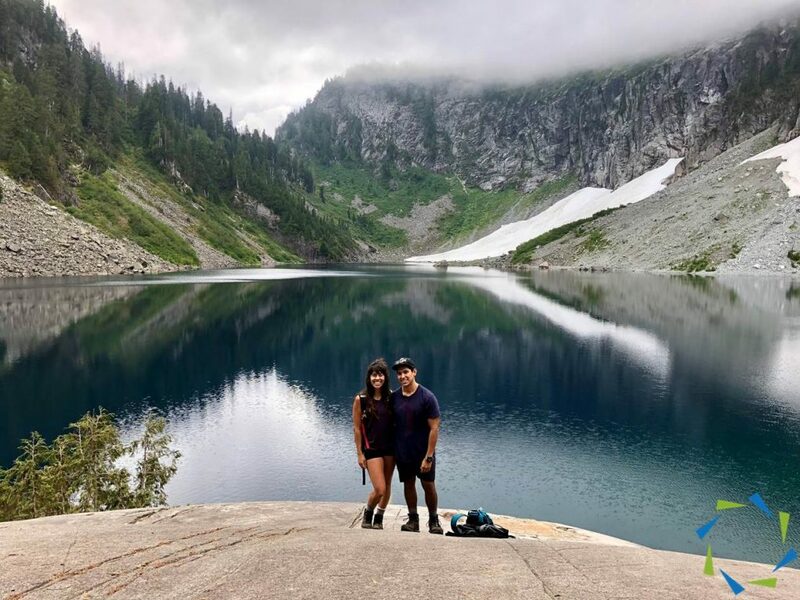 Robert and Jazmin lived active lives as physical therapy (PT) students and prior, but upon graduation found themselves not always as active as they would like. Mutually, at the beginning of the year, they committed to challenge themselves to be active to maximize their health and personally grow. But a challenge by itself has little meaning if not directed towards a larger purpose. As Jazmin and Robert worked out together, a what if thought came to mind. What if they trained for something specific? The seed was planted and began to grow and blossom. Robert suggested a marathon run as he enjoys running and has participated in marathon runs. Jazmin, on the other hand, had not nor does she enjoy running. Then during a hike, they turned to one another and asked what about a trail run. Jazmin loves hiking, and they both love being outdoors. Maybe a trail run would be a good compromising challenge for both of them. Therefore, they intentionally pursued an opportunity to participate in a trail run discovering the Moab Trail Marathon in Utah. The what if thought and challenge from the first of the year now had a sense of being and the beginnings of a deeper purpose, but the seed planted was not done blossoming and growing. Robert and Jazmin currently are travel PTs as they pursue opportunities to experience the world, near and far. They share the empowering and transforming nature of PT through a touch, a listening ear, and a compassionate heart to maximize the health and lives of others, communities, and the world. This passion and heart come from life’s journeys of past, present, and future. Jazmin grew up in a small community in Western Kentucky, the daughter of a multi-ethnic Hispanic and Anglo family. As a young child, she felt that the pressure to fit in required her to place aside her Hispanic culture and language. However, upon later moving to California to pursue a doctorate in physical therapy at Chapman University, she found being part of the larger Hispanic community in California difficult. She now felt the expectation with her background to be able to speak Spanish, which she could not. The challenges of finding herself versus fitting in inspired her to travel to multiple countries and places around the world where she learned to celebrate the beauty of diversity, reconnect with her Hispanic heritage, and to begin sharing her struggles and accomplishments to empower others who face similar situations. Robert, on the other hand, was raised in Los Angeles, California. His family primarily spoke Spanish, and many spoke little English. From a young age, he had a desire to impact the world. As he studied physical therapy at the University of Southern California, he became engaged with a program that provided health and wellness services to the local Hispanic and Latino families. He strived to instill within them a sense of pride in their culture and the strength within their differences. Each of us has unique gifts to offer, and with intentionality, we can succeed in life’s pursuits and empower others to do the same. The passion and heart of Jazmin and Robert inspire them to be active PTs transforming and empowering the lives of others through touch, listening, and compassion. They both via different journeys found PT and then each other, accompanying one another through their ups and downs, joys and tears, and walking with another in pursuance of life’s purpose. The second challenge, Robert and Jazmin, placed before them was to give back and share their love for others and movement in conjunction with a high-impact for-purpose organization. The what if blossomed again to add more meaning to the challenges of activity and sharing. Life has a higher purpose outside of self. During their first run, they knew the challenge to complete the training would be extremely difficult and asked themselves how can we make this trail marathon more than ourselves. They wanted a palpable endeavor that aligned with their profession, personal values, altruistic nature and could impact a community in need. A physical therapist’s journey is about community and connecting with people to enhance lives through improved movement and hope. Jazmin believes the profession’s purpose is increasing the access and quality of physical therapy to all, and often that perspective begins to be lost as we engage deeper into studies and focus on accomplishments. Therefore, she intentionally pursued opportunities for Chapman University PT students to engage with the local community and fully embrace why they were studying to become PTs. She heard about PT Day of Service (PTDOS) and chose to bring it to campus. PTDOS brought to life her passion for the PT profession through bi-directionally engaging with the local community. With her connection to PTDOS, a seed was planted and upon graduation Move Together, the umbrella for PTDOS, was catalyzing servant leaders for our mission to increase access to quality rehabilitation medicine around the corner and around the world. She connected with the co-founders, Efosa and Josh, to learn more and was inspired by the altruistic and servant leadership embodied by Move Together and their mission to increase access to physical therapy, but the timing was not right at the moment. She was preparing to journey to Costa Rica for a 10-week clinical rotation. But now as she and Robert pursued an opportunity to collaborate with an organization, Jazmin shared with Robert about Move Together, our mission, vision, and values. Robert too was inspired by the mission having seen firsthand in Guatemala, Columbia, and the US the limited knowledge and need for PT in communities. He saw many patients who had received surgeries weeks, months, and years before and were limited in movement because they did not have access to physical therapy resources. Lack of access and knowledge thus minimized the positive impacts of surgery on the patient’s life. Not only was Move Together increasing access to rehabilitation medicine and empowering others, the recent clinical development projects brought hope and access to Latino communities in Guatemala. The overall mission, vision, and sustainable impact in Latino communities aligned strongly with their passions and visions today and the future. With mutual interest to further this what if, Jazmin reached out to Efosa about making her and Robert’s effort to run a trail marathon have a higher purpose beyond themselves and to align that with the efforts of Move Together. Through bi-directional conversation, the what if seed blossomed again into an opportunity for others to encourage and accompany Robert and Jazmin to collectively work together. This collaboration cultivates the ground spreading more seeds by sharing their story and Move Together’s towards empowering and transforming communities and the world. In raising financial support and encouragement, they look to help operationalize and functionalize a sustainable physiotherapy clinic in the world. The journey began as young children with a variety of seeds being planted and cultivated to enrich their hearts toward servant leadership through their hands, hearts, and ears as compassionate, altruistic physical therapists. 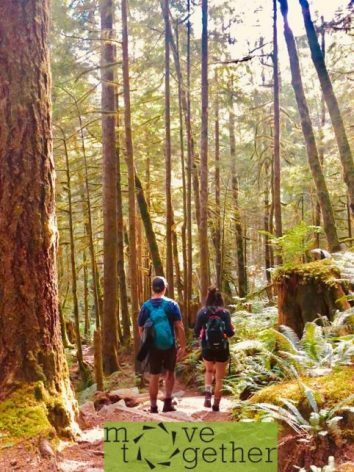 You can follow here Jazmin and Robert’s journey to running their first trail marathon, seeing obstacles as opportunities, and empowering others to intentionally act upon that what if for healthier communities and healthier world.